I decided I would try and make some tote bags in preparation for Christmas, i.e. do without wrapping paper and just pop each present into a tote bag for the ladies of the family. 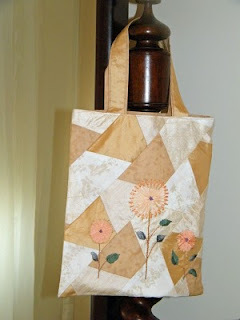 The idea is to try and only use scraps left over from other projects. For the first two I used patterns and instructions from magazines. Then I branched out with ideas of my own. 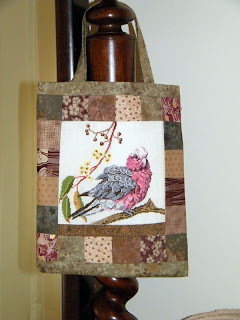 There is a limit to the number of framed pieces of cross stitch you can fit on the walls so I thought why not include the unframed pieces into tote bags. 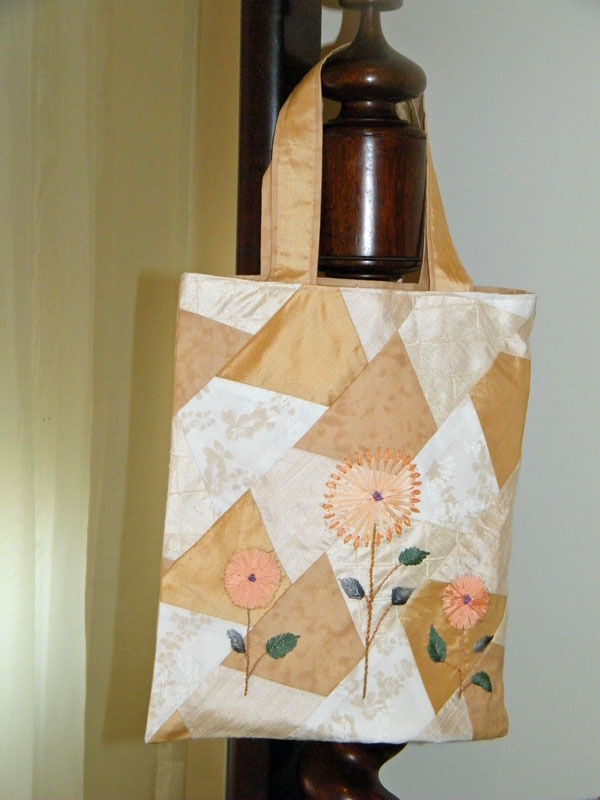 And at one stage a few years ago I was very keen on Baltimore quilts but after a few blocks I decided that those interminable stems and leaves done with needle turning was not my idea of fun so a couple of them are also becoming tote bags. 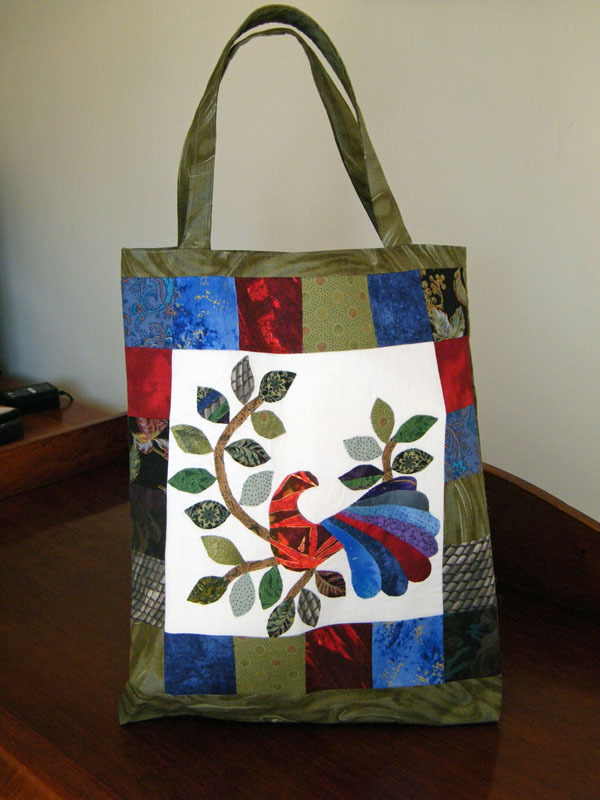 I've already given away the Baltimore tote and I'm hoping I can get enough totes made so that I can keep the parrot tote for myself as I rather fancy that one ! I love the colours in it. And my favourite book for the month - Gregory Day's "The Grand Hotel". It's the third in a series set in the imaginary coastal town of Mangowak (think Airey's Inlet), a quirky, amusing tale of small-town Australian life.